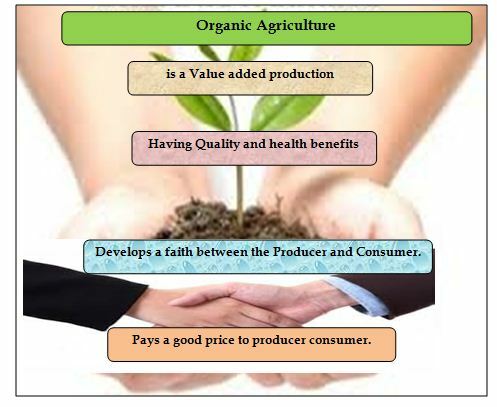 Organic Agriculture itself is a value added production of Agriculture crops. The organic produce with its quality and health benefits develops a faith between the producer and consumer. The consumer now days are having a good paying capacity but fail to get health benefit produce /products. Organic produce develop through organic agriculture is providing the solution to such heath conscious consumers. It also paying good price to Producer.